Welcome! Carole's is located in a quiet setting, yet is a short distance from main roads and from the Hampton Jitney stop! We will pick you up at the Jitney stop. 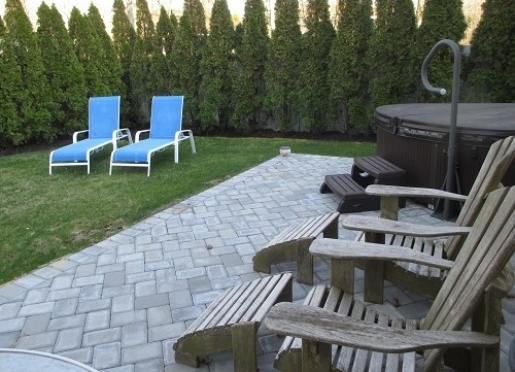 Enjoy our secluded backyard with a hot tub! Carole's is comfortably furnished to make you feel at home. Relax on our porch or warm yourself by the fireplace on cool evenings. We provide updated weekly lists of area activities and also will give you suggestions on where to dine and what to visit in the Hamptons. Travelers are always looking for memorable and relaxing experiences. Let’s discover more through the words of our innkeepers. Many thanks to Carole for sharing her own secrets with BBOnline.com! Because it’s warm, welcoming, and close to Hampton beaches. My wonderful breakfast, attractive rooms, and charming personality! Number one reason to visit is to explore the Hampton area. Definitely that the breakfast is wonderful and the friendly atmosphere. The inn is in the Hamptons, yet still a very tranquil setting. They can go to the beach, splish splash, wineries, museums, New Hampton towns, hiking in nature preserves, golfing, tennis and much more. Stone Creek Inn, a very famous restaurant. Really good delicious American food.